Ponchaud Contracting gets the job done right! Chris Ponchaud founded Ponchaud Contracting and Excavating. 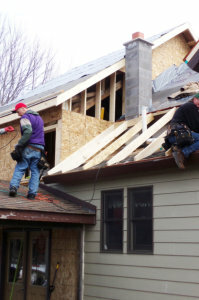 His company is licensed and insured and employs many qualified workers with many years of experience. Ponchaud Contracting offers general contracting, construction management, and design-build services for projects of all sizes — from a single family home to a large commercial building. With our business located in Crystal Falls, MI, we service all of the Upper Peninsula of Michigan and Northern Wisconsin. Ponchaud Contracting & Excavating is large enough to offer the range of services needed, but small enough to deliver projects with personal attention to our clients’ quality standards, schedules, and budgets. 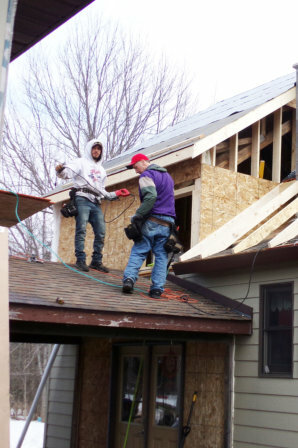 Our skilled teams take pride in guiding a project from conception to successful completion. From the very beginning, Ponchaud Contracting listens to client’s needs and develop a clear and shared vision for a project. Then we collaborate with talented architects, engineers, and subcontractors to bring that vision to life. This interactive approach ensures quality workmanship and attention to detail every step of the way and a finished structure you can be proud of.